Choosing safe exercises for hysterectomy weight loss and weight management can be challenging. 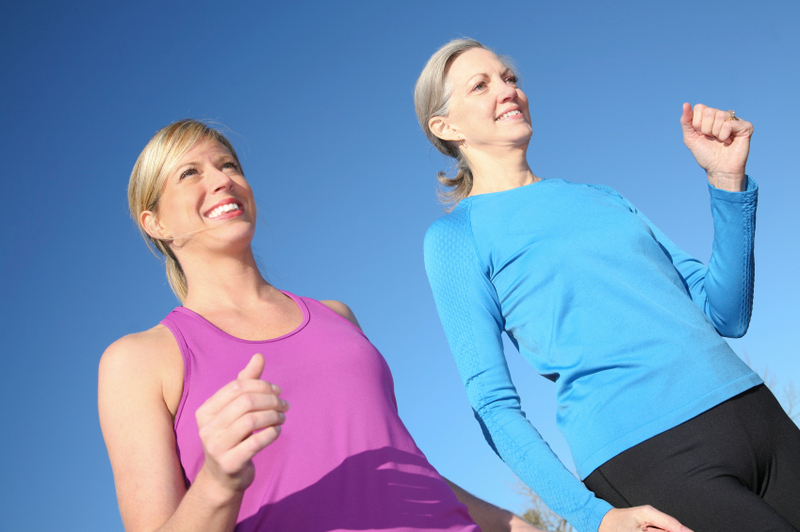 When to start exercising after hysterectomy? Which exercises are safe for weight loss? 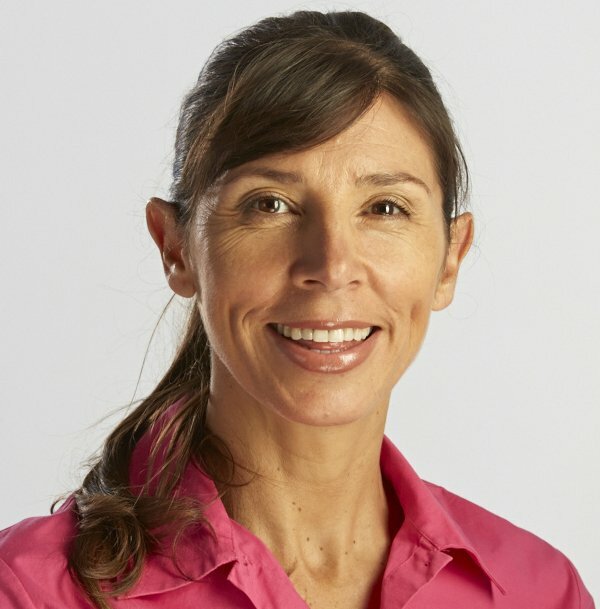 These Pelvic Floor Physiotherapist guidelines teach you how to lose weight safely with exercise after a hysterectomy. Download this Hysterectomy Weight Loss Exercise article as a user friendly PDF. Hysterectomy weight loss exercise must be combined with a sensible hysterectomy diet for permanent weight loss. Diet during the first 3 months of hysterectomy recovery must recognise that the body has added nutritional requirements for healing, immune function and recovery. This safe exercise information applies to the first 6-8 weeks after a hysterectomy. Walking is the exercise of choice for most women during early hysterectomy recovery detailed outlined in hysterectomy recovery walking guidelines. Most women commence walking during their hospital stay continue regular walking during their early recovery at home. Walking exercise during early recovery aims to prevent physical debilitation and minimise the risk of side effects after a hysterectomy rather than influence weight management or improve overall fitness. If you are able to adhere to a sensible walking program as advised by your doctor, this will place you in good stead to recommence exercise directed at weight management and fitness following your early recovery. Your doctor will advise you when you are ready to recommence general fitness exercise (descibed in the next section) which can be directed more towards hysterectomy weight loss. For most women this commences at around 6-8 weeks post hysterectomy but once again this also depends on other factors that your treating doctor will take into account. Improve your ability to recommence general exercise and activity when permitted. Appropriate core exercises include those exercises prescribed by your physiotherapist post-operatively. General Pilates classes, Yoga classes and all forms of abdominal sit-up type exercises should be avoided during hysterectomy recovery. For further reading on early hysterectomy recovery exercise please refer to our hysterectomy recovery exercise guidelines. Important information: The following exercise information applies only to women who have been given approval to recommence general exercise after a hysterectomy. Listen to your body when returning to exercise. If you feel pain or physical discomfort during exercise stop, rest and recover. Your body will quickly tell you if you have done too much. Contact your doctor with any concerns related to your post hysterectomy exercise. Every woman differs with respect to hysterectomy recovery exercise – there is no one rule fits all in terms of exercise prescription. 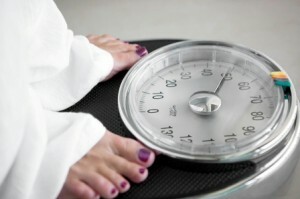 What is a good rate of weight loss after a hysterectomy? To lose 1-2 pounds per week requires an energy deficit of 1000 -1500 calories/day. This highlights the importance of addressing dietary intake for weight loss post hysterectomy – exercise will help to incur an energy deficit however post-operative exercise limitations mean exercise cannot be solely relied upon for a reasonable rate of weight loss. Set realistic expectations about the rate of weight loss you can initially achieve after a hysterectomy. It is will be difficult to achieve a substantial energy deficit through exercise. You won’t be able to exercise with the intensity or duration you may be accustomed to preoperatively and high impact aerobic exercises such as running are inappropriate. Low impact exercise is the most appropriate exercise after a hysterectomy to minimise pressure on the pelvic floor and abdomen and address weight gain. Low impact exercise involves keeping at least one foot on the ground at all times during your chosen exercise. Many women find that quality support briefs can improve comfort and support with post-operative weight management exercise. Resistance training is recommended for healthy individuals as part of basic activity guidelines for health1. Resistance training increases muscle strength and lean muscle. While resistance training alone will not usually promote weight loss, increased strength can promote increased activity and resulting weight loss. 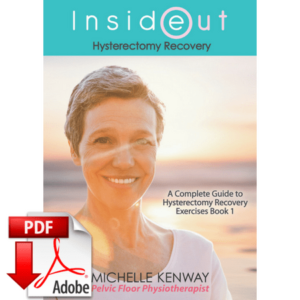 Hysterectomy recovery is not the time to commence a resistance training program. If you have never performed resistance training exercises it is advisable to wait until completely healed (approximately 3 months after surgery for most women). A modified resistance training program can be recommenced with your specialist’s approval if you regularly perform resistance training exercise. Inside Out Strength is a pelvic floor safe strength training workout DVD to help women strengthen safely. For permanent weight loss in healthy individuals, ACSM recommend moderate intensity exercise duration is 2.5- 4.5 hours/week1. This equates to a minimum of 30 minutes of daily exercise if you exercise 5 days of the week. Often this exercise duration can only be achieved with progression with time during hysterectomy recovery. Shorter more frequent bouts of exercise may be more achievable such as 2 x 10- 15 minute walks in a day. Commence with the duration of exercise you can comfortably manage. You should not feel physical discomfort during or after your exercise session. Gradually progress the time spent exercising according to how you feel. Some days you will not feel up to doing as much as the previous day- this is normal. Listen to your body and choose your exercise duration accordingly. Sensible exercise progression will be on a weekly or fortnightly basis rather than daily for most women. Ideally for weight loss exercise should be moderate intensity. Moderate intensity exercise noticeably increases heart and breathing rate, but allows you to carry on a conversation. If you are asked to rate how hard you are working on a scale of 1- 10, moderate intensity exercise feels as though you are working at a 5-6 out of 10 (with 10 being maximum intensity)2.Exercise intensity for weight loss also needs to be gradually progressed post-operatively. Commence at low intensity and gradually increase the intensity of your exercise or your exertion according to how well you feel. Exercise for permanent weight loss should ideally be performed most days of the week. The frequency of post hysterectomy exercise varies according to energy levels and how well you feel. Rest and take a break from exercise when you need to. Realistic rate of weight loss in healthy individuals is 0.5-0.9 kg or 1.1-2 lb/week and requires energy deficit of1000-1500 calories/day. No one rule fits all women in terms of post hysterectomy exercise prescription. Resuming appropriate activity after surgery. 1 American College of Sports Medicine (2001) Position Stand. Appropriate intervention strategies for weight loss and prevention of weight gain for adults. Medicine & Science in Sports & Exercise 33:2145-2156. 2 American College of Sports Medicine and American Heart Foundation (2007) Physical activity and public health in older adults. Recommendation from the American College of Sports Medicine and the American Heart Foundation [Special communications: special reports]. Medicine and Science in Sports & Exercise 39: 1435-1445.